Grant Leeth is once again out for the season with an injury. He revealed the news via his Instagram last night. The Missouri All-American is currently ranked sixth at 149 pounds. He finished sixth last year in Cleveland at the same weight. Leeth is a sophomore eligibility-wise after receiving a couple medical redshirts from the NCAA. 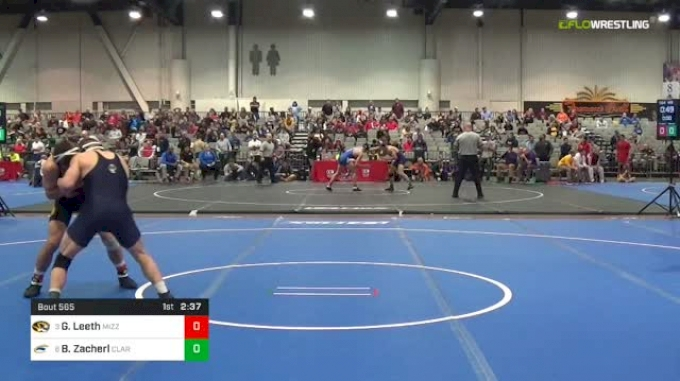 Leeth entered CKLV 3-0 and made the quarterfinals, which is where the injury occurred. He did not compete on the second day of the tournament and will finish his season 6-1 overall. The Tigers now have a decision to make. If they wish to maintain Brock Mauller's redshirt, they can go with junior Alexander Butler. If not, Mauller already has two wins over ranked guys and appears to be someone who can score points at the NCAA tournament. The true freshman was #73 on the 2018 Big Board.